Note about the above quote: Of course, Davies is using the word "entertain" in an older sense. It appears to be the ninth definition offered by Oxford English Dictionary: "To engage, keep occupied the attention, thoughts, or time of (a person): also with attention, etc. as obj. Hence to discourse to (a person) of something. ... 1692 Br. Ely Answ. Touchstone A v, I hope I shall neither tire the Reader, nor entertain him unprofitably. 1748 Chesterf. Lett. II clxxiii. I have so often entertained you upon these important subjects." The Compact Edition of the Oxford English Dictionary (1971), vol. I, p. 876. God's Minute Prayer Book published in 1916. Click Here. 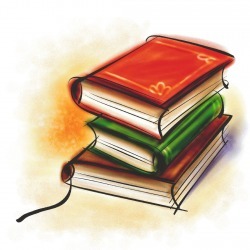 Free Online Christian Books: Click Here. Internet Christian Library: Click Here. The "HUMMER Mp3 Player and txt file Reader" - "I bought mine in 2001 and it is still Running." This is a photo of the mp3 player recorder and ebook reader that I use. 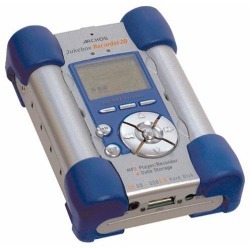 I have downloaded the Rockbox.org software for this Archos Jukebox Recorder 20GB. It is remarkable that a person can read comfortably on this 8 lines of text screen. I find it easy to read just about anywhere. If I hit the off button once and then a second time to power down it remembers the exact page I was on when I navigate and select the same e-book again. You can get these pretty cheap on ebay. Probably $50 - $75 dollars. It is the best mp3 I have ever owned. I have swapped out the 20GB hard drive for a 100GB drive and packed it full of sermons and music. Click here to learn how this is done.